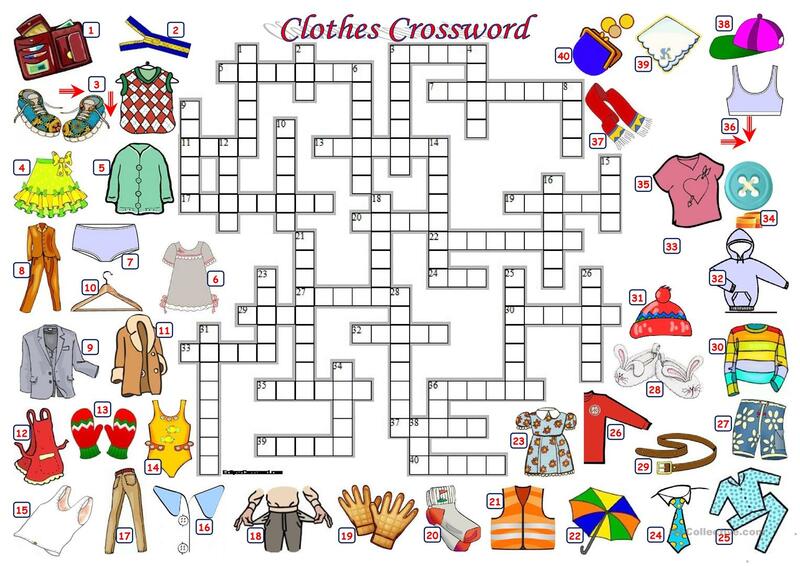 Here is another crossword about clothes and items of clothing. 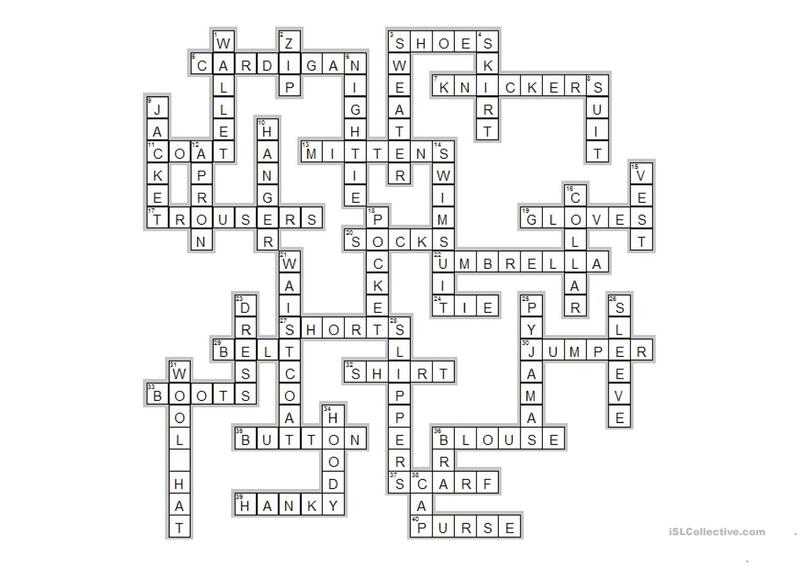 Activity is aimed at enabling learners to practice new vocabulary as well as refreshing the words which might have been learnt previously. The present downloadable handout was created for elementary school students at Elementary (A1) level. It was designed for developing your class' Writing skills. It is focused on the theme of Clothes, fashion. maker1 is from/lives in Turkey and has been a member of iSLCollective since 2012-01-17 12:54:04. maker1 last logged in on 2019-04-22 10:07:14, and has shared 79 resources on iSLCollective so far.